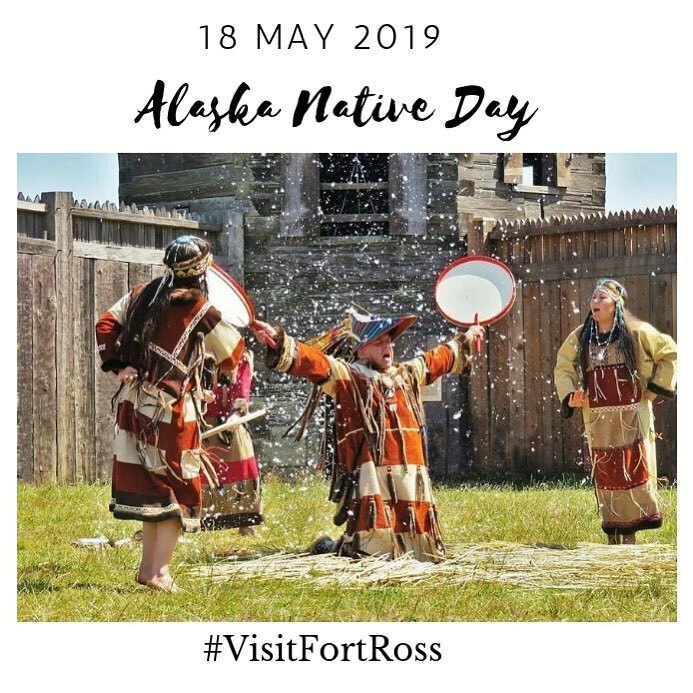 May 18th is Alaska Native Day, acknowledging the many contributions of the Alaska Native community at Fort Ross. 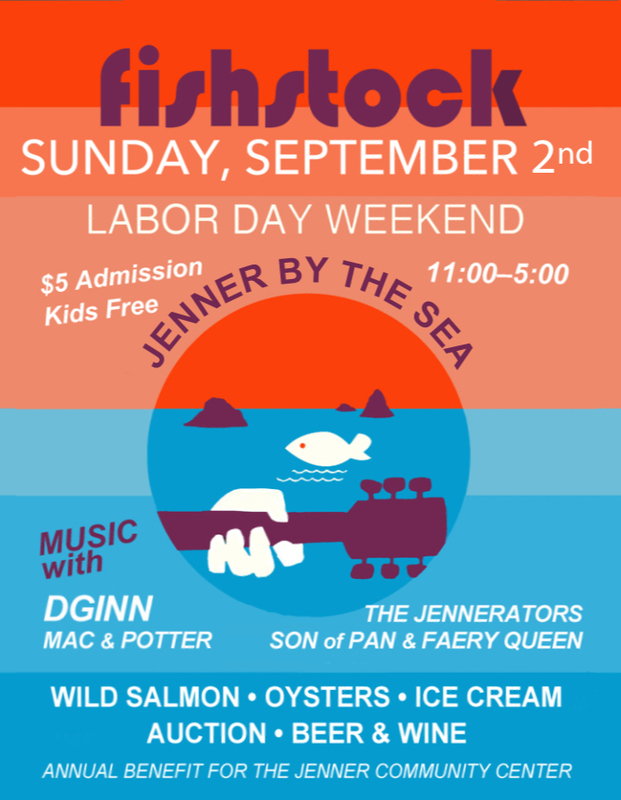 This year we’re fortunate to have the Anchorage Unangax Dancers sharing their traditional dancing from the Aleutian Islands of Alaska, Ekatherina Savvinova (Saina) of Sakha Republic performing her songs and sharing the Siberian Native history at the Fort, and Haida Artist Rachel Langford leading a metal etching project. And for the adventurous, join the 6th Annual John Sperry memorial Qayaq Race in Sandy Cove. Once again thanks go to Lauren Peters for organizing this event and bringing the Alaska Native community to Fort Ross. Contact Lauren at sjsulauren@gmail.com to sign up for the race! For a detailed description and schedule of events, check out https://www.fortross.org/events.htm See you there! Bodega Bay loves Hitchcock! Our 7th Annual Hitchcock Film Festival is celebrating the Master of Suspense and his timeless cinematic creations. We will be featuring Dan Sneed, Special Guest and Hitchcock Enthusiast, who will open each film with interesting facts and highlights. Wine, beer and concessions available for purchase. Raffle prizes - drawings held after each film. Student Art on display, t-shirts and other items for sale. Photo ops! Prizes for best dressed Tippie, Alfred or Norman Bates, you choose. Art Celebrating Hitchcocks Movie "The Birds"
There is a Hitchcock Celebration on Saturday March 23rd. 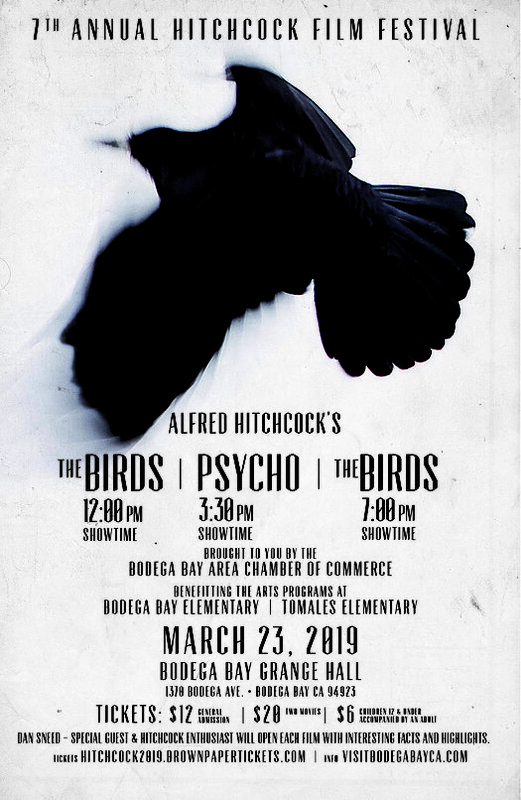 Attend the Hitchcock Film Festival in Bodega Bay. Visit the Artisans' Co-op before show time for some "The Bird" inspired art. Take advantage of our gallery wide 10% off sale on all art. Artist demonstration and a grand prize raffle. Featuring Rik Olson & Fred Kling. Two friends from the first grade are showing their Art together. Guest Artists: Janet Doto, Don Kuhn, Laura Mueller & Francesca Scalpi. At the Jenner Community Club behind the gas station. • July 14 – 15 — 19th Annual Civil War Days Enjoy a fun, family-oriented experience! This two-day living history event, one of the largest Civil War reenactments west of the Mississippi and the largest in Northern California will transport you to this era. Twice-daily battles. Between battles, spectators can visit the encampments and interact with the reenactors. Great for all ages! 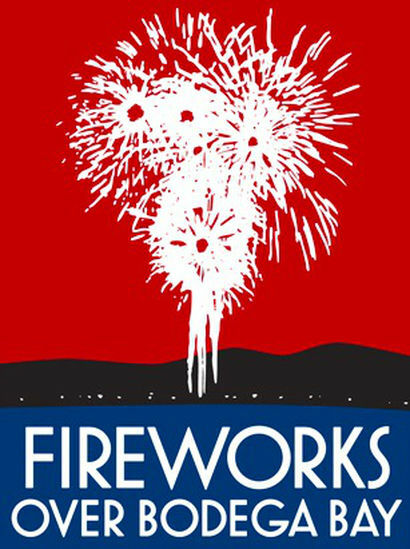 • Fee: Day of Event: Adults $12; Kids 7–12, $6; Kids 6 and under are free. Parking $5 per car, cash only. No bank cards. Local photographer Francesca Scalpi will be demonstrating equipment for capturing Birds in Flight. Glass artists Jeanne Bosko and Libby Kirk will be discussing the process to create Glass Art. Wood artisan Jerry Pagnusat will be demonstrating how he crafts his wooden boxes. PLEASE TAKE OUT WHATEVER YOU BRING IN! OUR VOLUNTEERS NEED YOUR HELP TO KEEP BODEGA BAY BEAUTIFUL!! THANK YOU!! 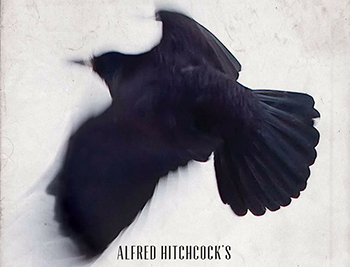 Our Hitchcock Film Fest celebrates the Master of Suspense and his timeless cinematic creations. We will showcase two of his films. 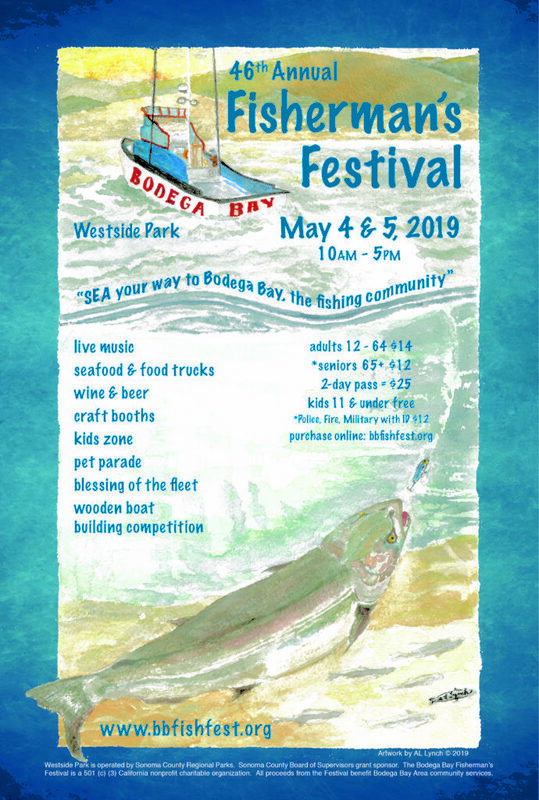 This is a fundraising event by the Bodega Bay Area Chamber of Commerce. Location of film will be at the Bodega Bay Grange on Hwy 1 across from The Boat House. Films and tickect information coming soon. Sale 11am to 6pm. Demonstrations 1pm to 3pm. Reception 3pm to6pm. 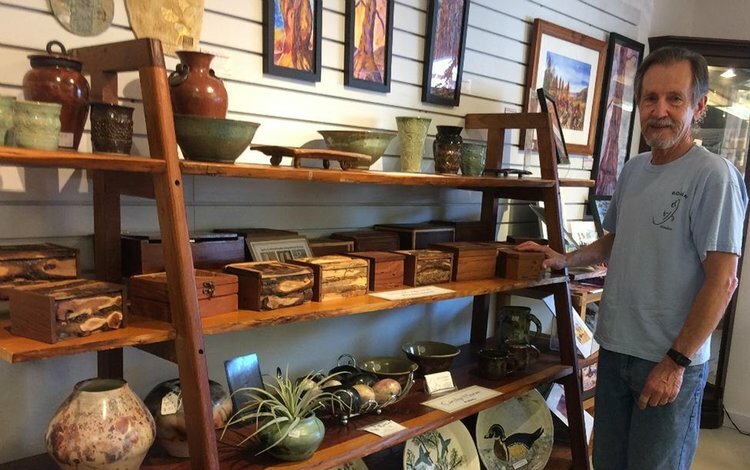 The Artisans' Co-op has been supporting local artists for over 20+ years. These artists celebrate traditional methods and create handcrafted works of art. Our gallery has a large selection of Fiber Art. Our local shepherds have raw wool and yarn from sale. Some hand dyed from natural items like flowers etc. Our painters embrace their natural surroundings with beautiful coastal and pastoral scenes in their paintings. Our potters used a variety of firing techniques and glazes. Some of the pieces available are hand built, stamped, and molded. Our other ceramicists work at the potter’s wheel . Our jewelry artisans use a variety of techniques and materials to ensure you are getting a highly crafted unique piece of jewelry to wear or give as a gift. Our photographers have captured images from around the world, of nature and our beautiful local shores. With over 50+ artists on display you will surely find something. Please Bring an Ornament for our Community Tree. hope you will join us in the spirit of Gratitude and Community. Looking forward to seeing you!! !